The CPC-USB/embedded is a USB CAN Bus adapter, for use with Windows or Linux based systems in commercial and industrial environments. 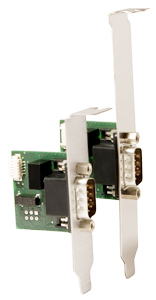 Due to its compact size it is ideally suited to applications in embedded PCs. It is installed directly at a SUB-D9 case opening or a slot panel and wired with the included cable to a pin connector of an internal USB interface of the main board. 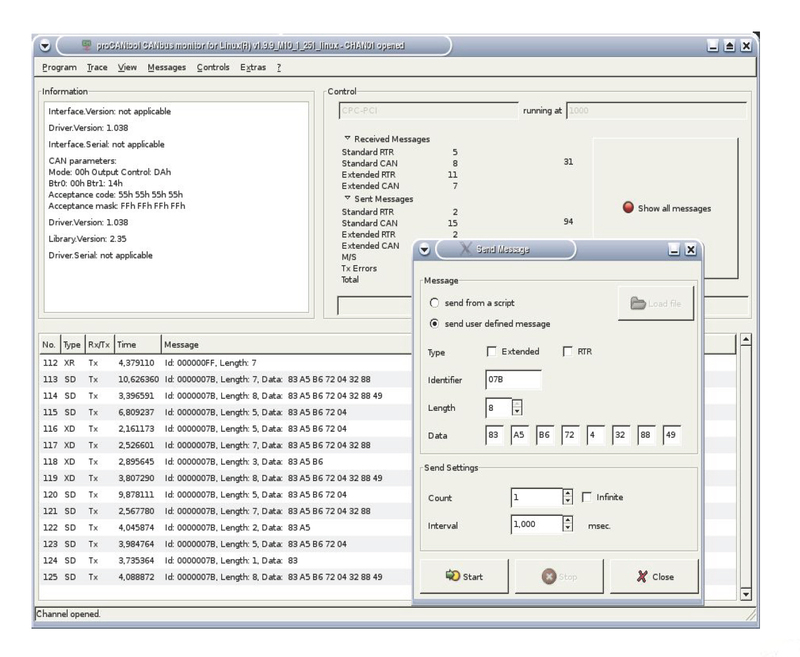 ProCANtool CAN-Monitor for Windows is included with purchase; Advanced Network Monitoring, Analysis, and Higher Layer Protocol Tools optionally available. ProCANtool CAN-Monitor for Windows included with purchase; Advanced Network Monitoring, Analysis, and Higher Layer Protocol Tools optionally available. 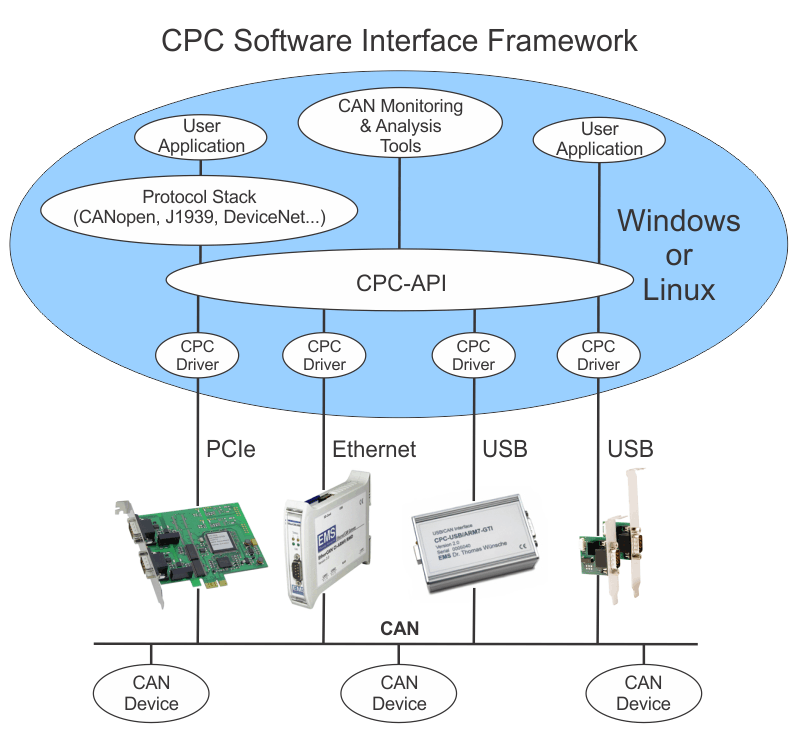 As a member of the CPC family of PC to CAN interface products, the CPC-USB/embedded benefits from the CPC Software Interface Framework, which provides a consistent host software interface environment for Windows and Linux based applications that is independent of the PC hardware interface being used. The CPC USB/ARM7 can also be used with SocketCAN in Linux based applications. A variety of software tools can be used in conjunction with the CPC PC interfaces and adapters to extend funcitonality for network monitoring, analysis, and software design. Need a different type of CAN PC interface? No problem, other USB, PCI Express and Ethernet options are also available. The emtas CANinterpreter is a versatile tool for monitoring and recording of data traffic in CAN networks and its analysis according to proprietary or standardized higher-layer protocols. A number of available PlugIns extends the range of functionality to inlcude Scripting, CANopen interpretation, or Engergybus visualization. The development of PlugIns on customers’ request is also possible. Examples of use inlcude utilization as service tool or as diagnostic tool for devices or plants. The emtas CANopen DeviceExplorer is a versatile tool for development, testing, diagnostics and service tasks. It provides CANopen master functionalities and allows the analysis and configuration of CANopen devices. Integrate host PC environments with CANopen resources using the emtas CANopen Stack and Tool Chain. 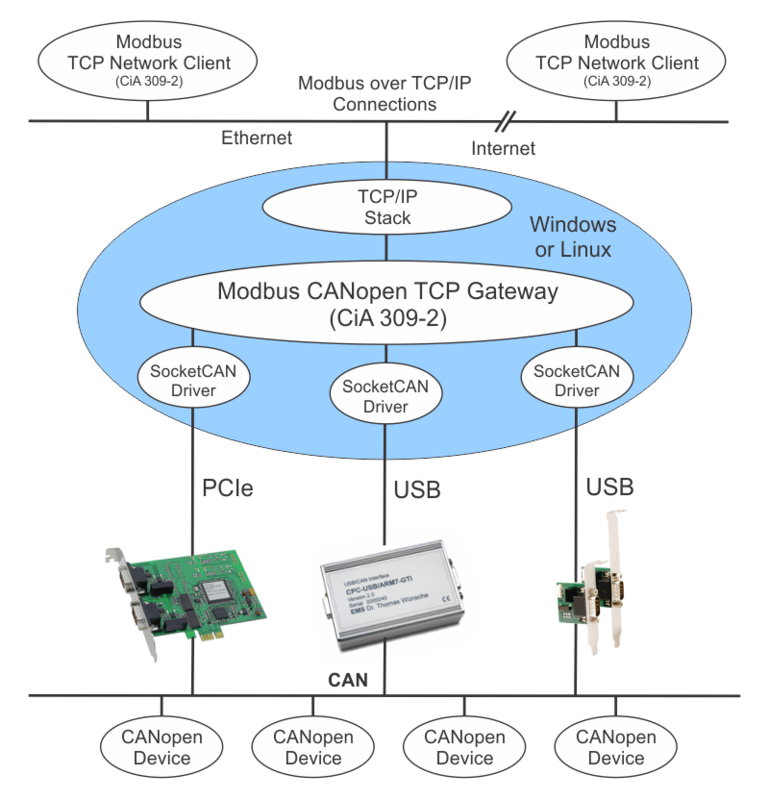 Incorporate CANopen resources into Modbus TCP networks over Windows or Linux PCs.